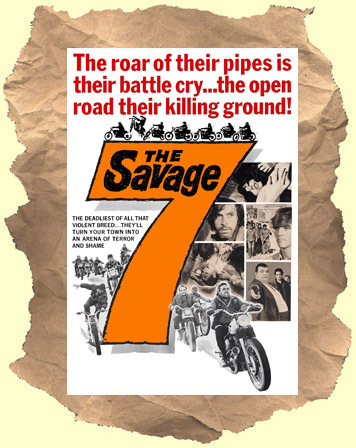 SYNOPSIS: Definitely one of the above average biker films to come out the craze in the late 60's early 70's. Adam Rourke gives a great leading man performance as the sometimes good sometimes bad leader of the biker gang. They roar into town and settle down for a while on an Indian reservation and Rourke falls for a cute Native American hottie. But soon trouble starts when a crooked businessman stirs up trouble between the locals and the gang. Lots and lots of great fight scenes and stunt work (courtesy stuntman / actor Chuck Bail). Music from "Cream" and "Iron Butterfly". Recommended.